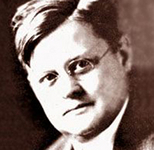 Abraham Merritt was a journalist and the most popular genre writer of his time. Because they are in the public domain, you can find some of Abraham Merritt’s ebooks free at Project Gutenberg or at Amazon on the Kindle. Dr Goodwin — (1919-1920) Publisher: On the island of Ponape, the light of a full moon washes over the ruins of an ancient civilization. Unleashed from the depths is the Dweller, a monstrous terror that stalks the South Pacific, claiming all in its path. An expedition led by Walter Goodwin races to save those who have fallen victim. 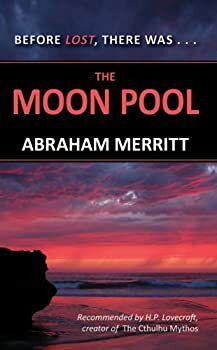 Abraham Merritt’s The Moon Pool was originally published as two stories in All-Story Weekly (“The Moon Pool” and “Conquest of the Moon Pool”) and combined into a novel in 1919. Its copyright has expired, so you can find it at Project Gutenberg or as a free Kindle e-book at Amazon. 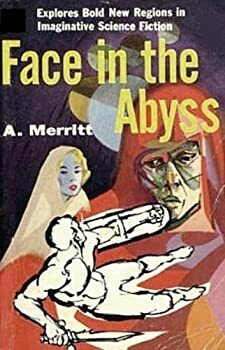 Abraham Merritt's The Face in the Abyss first appeared as a short story in a 1923 issue of Argosy magazine. It would be another seven years before its sequel, "The Snake Mother," appeared in Argosy, and yet another year before the book-length version combined these two tales, in 1931. It is easy to detect the book's provenance as two shorter stories, as the first third of the novel is pretty straightforward treasure-hunting fare, while the remainder of the book takes a sharp turn into lost-world fantasy, of the kind popularized by H. Rider Haggard and Edgar Rice Burroughs. 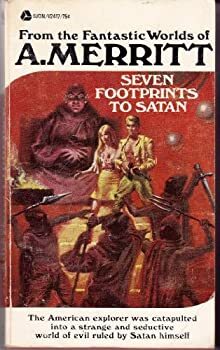 Having conquered the field of fantasy (with such classics as The Moon Pool, The Ship of Ishtar and Dwellers in the Mirage) as well as the field of the bizarre yet hardboiled crime thriller (with his wonderful Seven Footprints to Satan), Abraham Merritt went on, in 1932, to prove that he could master the field of supernatural horror, as well. That he succeeded brilliantly should come as no surprise to readers of those earlier works. 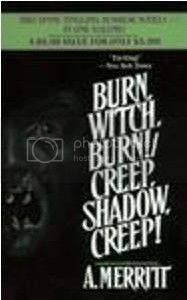 His first foray in the occult, Burn, Witch, Burn! first appeared in the pages of Argosy magazine in 1932, and was then expanded into book form the following year. 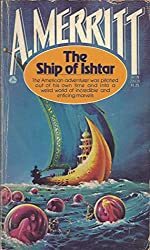 The Ship of Ishtar, one of Abraham Merritt's finest fantasies, first appeared in the pages of Argosy magazine in 1924. 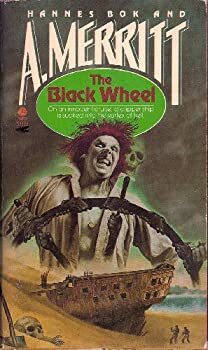 An altered version appeared in book form in 1926, and the world finally received the original work in book form in 1949, six years after Merritt's death. 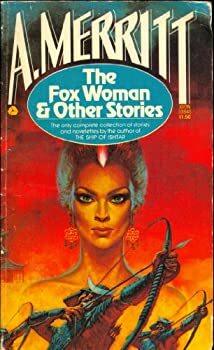 The Fox Woman and Other Stories is the only collection of Abraham Merritt's shorter works, and contains seven stories and two "fragments." These short stories span the entire career of the man who has been called America's foremost adventure fantasist of the 1920s and '30s. 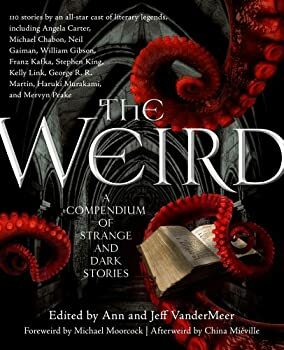 Several of the tales boast the lush purple prose of Merritt's early period (as seen especially in his first two novels, The Moon Pool and The Metal Monster), but all seven are finely written little gems. 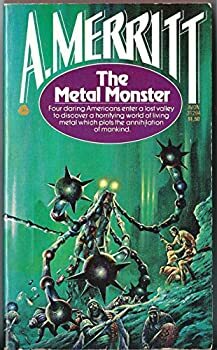 They run the gamut from full-blown fantasy to lost-world adventure to outright science fiction, and abundantly demonstrate that Merritt was a master of the concise short form as well as the full-length novel. The People of the Pit — (1948) Publisher: “yearly—exceptional sums for the period. His financial success allowed him to pursue world travel—he invested in real estate in Jamaica and Ecuador—and exotic hobbies, like cultivating orchids and plants linked to witchcraft, magic (monkshood, wolfbane, blue datura, peyote, and cannabis).